* INFRARED TRANSMISSION INDUCTION TECHNOLOGY:Wireless Charger Car Mount adapts the infrared transmission induction technology, the infrared transmission inductor opens its arms automatically when the device is about 5 inches away or less,Thus, it makes driving safer even if you are operating this device with one hand.It makes GPS, phone call and check message more convenient and safe. * AUTOMATIC POWER-OFF - Automatically cut off the power supply after your phone is fully charged to prevent overcharing and prolonging the batterylife,which makes you use more comfortablely. 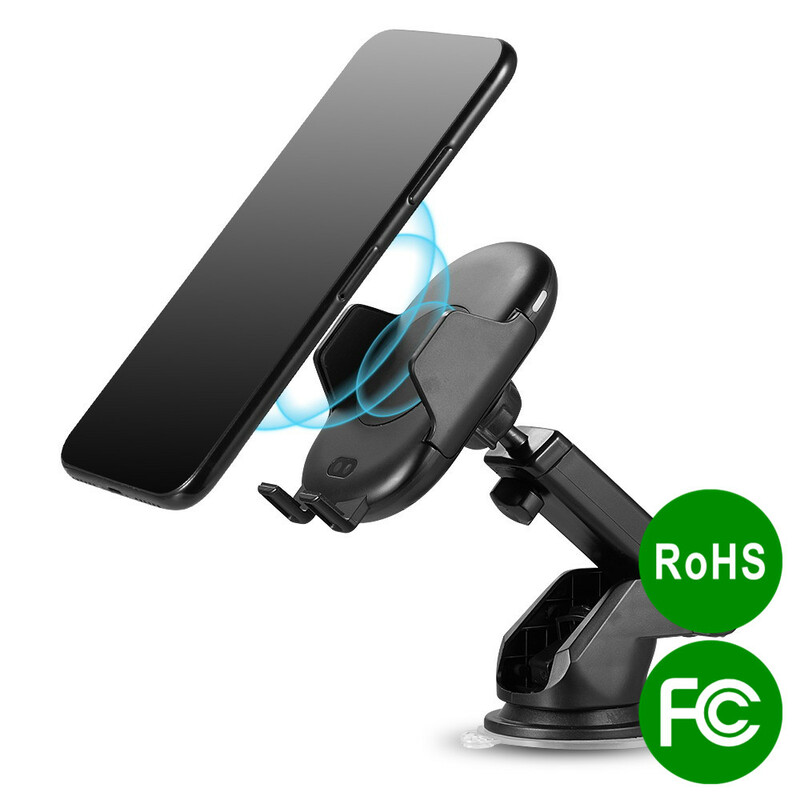 * 360° ROTATION - Adjustable Swivel Ball allows easily rotate, fix,or tilt to any angle for best assisting the viewer of the phone,and no worried about missing any important messages or news from the phone while driving a car.